Die-Cut Magnets come in a Speech Bubbles design. 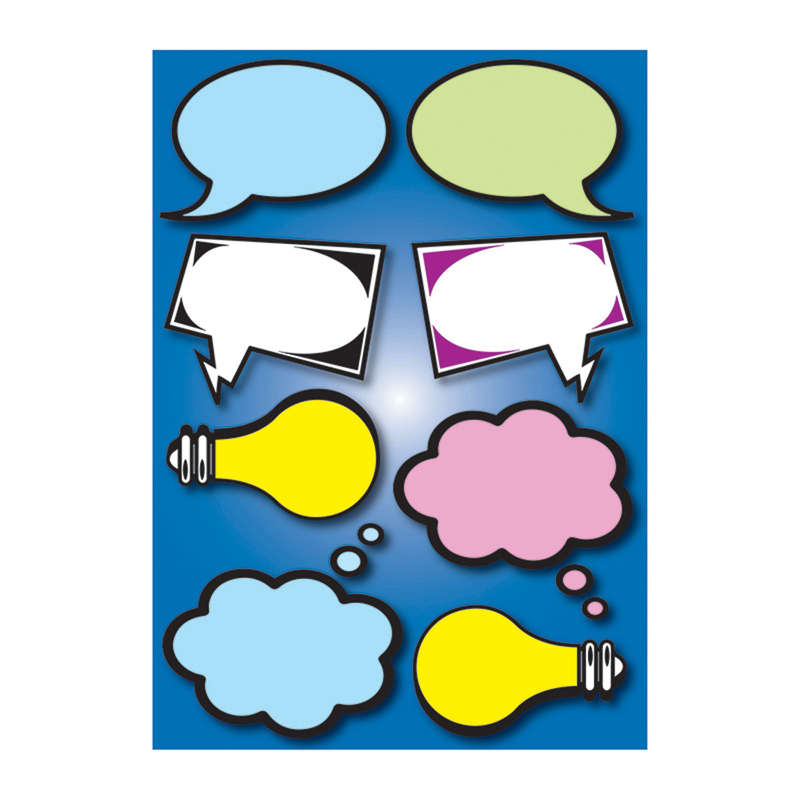 Assorted Magnetic Speech Bubbles make a great accent and manipulative with write on wipe off surface. Magnetic Products are great for organization and decoration on steel whiteboards and other steel surfaces.